At Casa Padrino we have beautiful and very elegant bio ethanol fireplaces in our range. 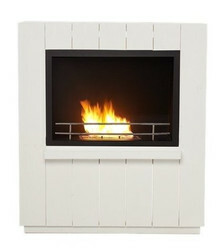 A bio-ethanol fireplace is a much sought-after and aesthetic object that will blend in well with your home. With the bio-ethanol fireplace in the living room, you keep your home warm, heat the water, generate heat for the entire house or just enjoy the blazing fire. High-quality design is characterized not only by a beautiful shape, but also by best workmanship down to the last detail. And of course by a high level of functionality that makes operation easy. Rest assured, our range of different forms and materials used in wood-burning stoves will make fireworks a pleasure for all tastes and needs. 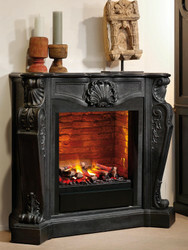 Casa Padrino offers bioethanol and electric fireplaces to choose from. If you have special requests, please contact the highly qualified team of Casa Padrino. We will help you competently in every detail. Guaranteed!